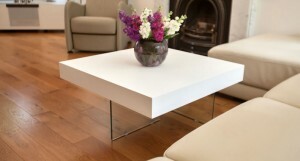 We use HPL on our Ellie White Oval Extending Dining Table. £439, Danetti. Have you ever wondered what goes into making your dining table top? Chances are, probably not. But it’s a lot more useful to know than you may think! Knowing what materials make up your dining table is an invaluable piece of information that will help you in choosing whether the product is right for your home. Our featured material this week is HPL. HPL is a cutting edge, technical material with some amazing durability points. It is used for a whole variety of finishes such as countertops, tabletops and flooring as its durable qualities mean it can withstand continued everyday use. That’s why we’ve engineered this great finish for a furniture application. HPL has a naturally matt appearance which means it looks sleek and smooth. 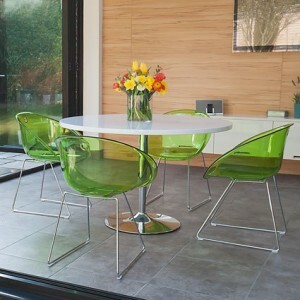 Yet, its hard wearing characteristics make it a truly high-performance surface material for the home. Multiple layers of kraft paper are saturated with a specialist resin. A decorative film layer (such as a solid colour or wood grain) is placed on top of the kraft paper before pressing. This creates a sandwich effect which is fused together using extreme heat (that’s temperatures of 280 to 320 degrees Fahrenheit!) under 70 to 100 bars of pressure. A clear protective overlay is then used for maximum protection. The creation process of HPL results in a smooth satin matt finish. It doesn’t have a reflective shine but it’s not fully flat matt, so it still has a wonderfully light and tactile feel. HPL is a descendant of plastic making it one of the most durable decorative surface materials for the home. High pressure surfaces are also available with special performance enhancing properties including chemical, fire and wear resistance. All of these qualities mean HPL is perfect for those messy family mealtimes, special occasions and big get togethers where there's a lot going on on and around the table. 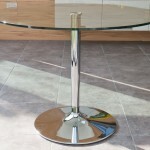 Other finishes such as matt and gloss are fit for everyday use. However, the extensive creation process of HPL means it is even more strong, durable and resistant to scratching. Used in science rooms and schhigh-pressures, a high pressure surface will have no trouble standing up to everyday use in your home! HPL can withstand a variety of common household chemicals such as washing-up liquid or antibacterial spray making it so easy to clean and maintain. Although incredibly durable, we advise with HPL that you stay away from corrosive chemicals such as descaling agents, oven cleaners, chlorine and acetone. Try to remove these straight away if they spill on the table's surface. When cleaning your HPL table, never use a steel scourer, scourer pad, souring agent or similar products as this can scratch the surface. A soft microfiber cloth will do just the trick. As with all of our dining tables, we advise that you never place hot pots or pans directly on a HPL worktop without a trivet or stand, as this can damage the table surface over time. It goes without saying, but never pull an object with rough or ragged edges across the worktop. If your HPL table has an extension leaf, clean the leaf along with the rest of the table to keep it looking neat and uniform. Make sure that the leaf is fully dried before you store it away or place it back in the cradle. HPL is strong, smart and durable. It has a slight subtle sheen but isn’t highly reflective, making it a great alternative to a high gloss finish. It’s such a neutral finish which coordinates with a whole variety of other pieces. It’s much more scratch resistant than many other materials. It is heat resistant (to an extent). You also get a colour fastness under artificial lighting. HPL is resistant to household cleaning products and even some chemicals. It is also resistant to cracking. 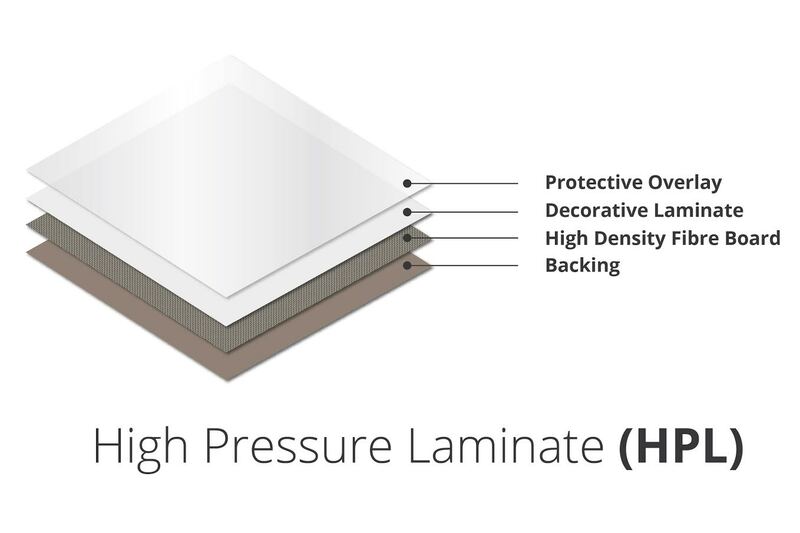 To an extent, HPL is also impact and abrasion resistant. When looked after correctly, HPL is a really hygienic surface. So there you have it. Everything you need to know about HPL. Have a question? Ask it in the comments! :) If you're interested in finding out more about other material finishes, be sure to take a look at Our Top Tips on How To Properly Care for Faux Leather. We offer a wide selection of modern glass dining tables with gorgeous glass features like the Stylish Aria Espresso Dark Wood and Glass Dining Table and the contemporary Tiva Large Glass and Chrome Dining Table. 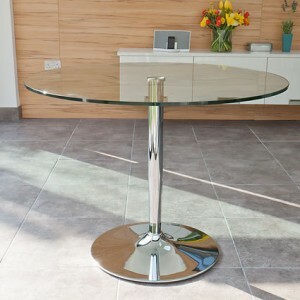 Here is a quick guide to caring for your glass table to keep it clean and shiny. Although all of the Glass we use in our furniture is certified to the BS6206 which ensures strength and durability, Glass is still extremely fragile and easily damaged. 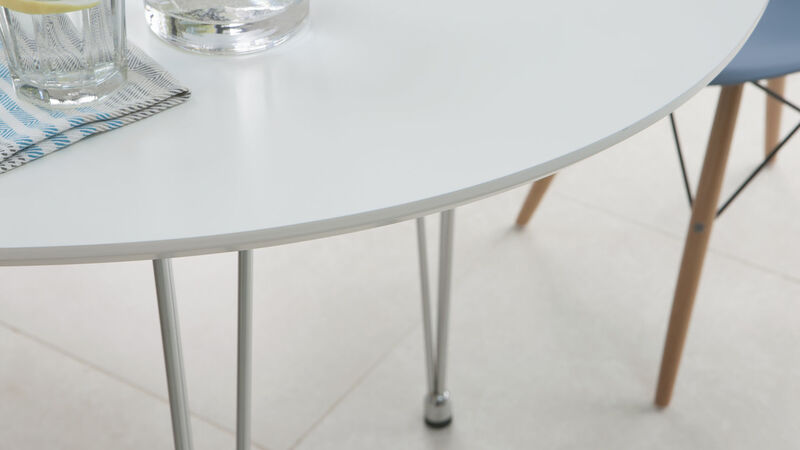 If it's a coffee table or dining table, you should use coasters and place mats to reduce the risk of marks and spillages on the glass table top. It also best to avoid putting heavy items on the glass as it could get chipped or broken. It is important to clean a glass surface regularly, and you can do this by using a mild detergent mixed with warm water. 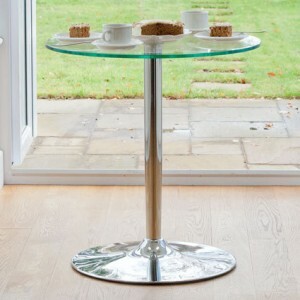 It is recommended that you do this every time you have used the table to ensure it continues to look new. After you have cleaned the surface, buff the surface with a dry cotton cloth and this will leave the surface shiny. 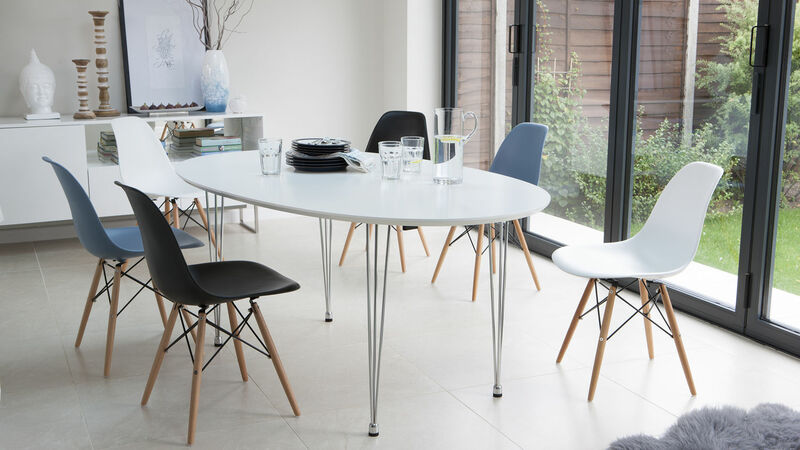 Big savings can be made on one of our most popular dining table ranges - the Naro Modern Round Dining Table Range. 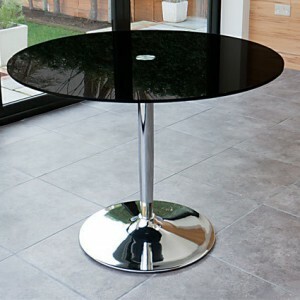 If you are looking for a chic black glass round table then this could be the answer. Set upon the usual chrome trumpet shaped pedestal base, the 12mm thick black glass top measures 1000mm in diameter, giving enough space for 4 people to sit comfortably.